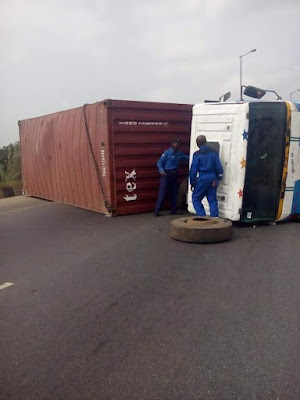 A 20 ft container truck lost control and fell off the road at Asolo filling station inwards Ketu Mile 12 Ikorodu on Friday 19th August, 2016. 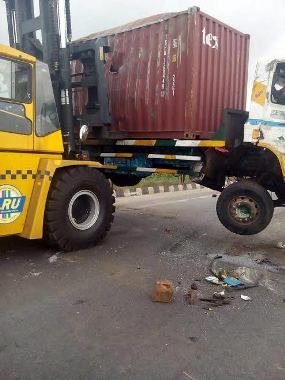 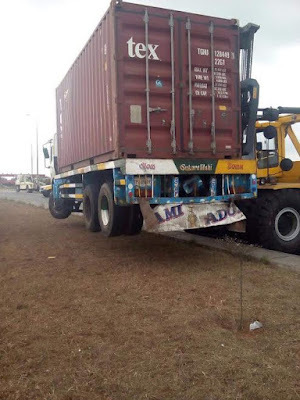 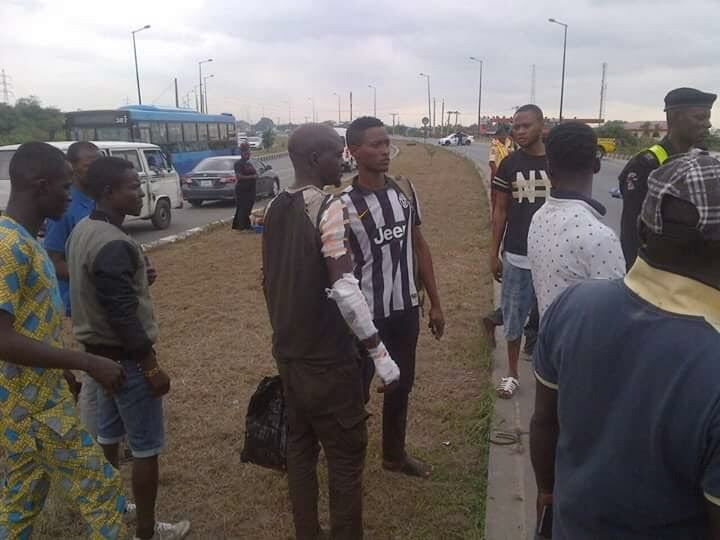 According to the Lagos State Emergency Management Agency (LASEMA), investigations at the scene of the accident revealed that the container truck, fully loaded with timber, fell on the road as a result of brake failure. 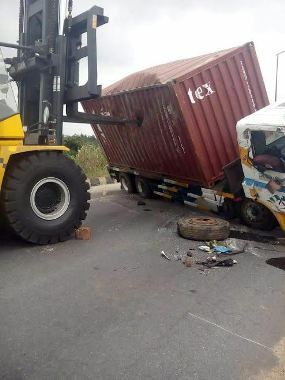 No life was lost but one male adult sustained injuries and was treated immediately.